Day 9′s winner of my favorite natural deodorant and shea butter from Florere is Lorrie S. Congrats girl! Today I’m sharing one of my favorite healthy drinks: kombucha! And not just any kombucha… I’m sharing the wonderful and signature flavors of Kombucha Wonder Drink! “The most important byproduct of this magical symbiotic interaction is the creation of essential organic acids which the human body may use to help aid digestion and build the immune system. The formation of acetic acid, one of the essential acids created, generates a feeling of well- being (also known as a ‘Kombucha buzz’) and also attributes naturally-occurring anti-microbial and detoxification characteristics through the process known as acetylation. I often get asked if kombucha is alcoholic, because of the fermentation process. It’s true, the fermentation process naturally creates a limited amount of alcohol. Kombucha Wonder Drink is guaranteed to have no more than 0.5% alcohol which is a lawfully considered non-alcoholic by standards. They assure this through pasteurizing each batch for consistent, quality brewed batches time and time again. The essential organic acids are proven to survive the pasteurization process so nothing beneficial is sacrificed. If you haven’t tried Kombucha Wonder Drink before, you are missing out! You can’t go wrong trying any flavor. It’s such a refreshing alternative to drinking plain water all day, and you get the added health benefits. In our clinic, we recommend kombucha as a great natural alternative to soda, and even the pickiest of teens have made the switch! You can find Kombucha Wonder Drink in most health food stores and co-ops, but in case you can’t locate it in a store near you, you can order on Amazon.com and have it shipped direct to you! Also, ‘Like’ them on Facebook — they’ll often select a fan to win a sample box of their flavors! Today, Kombucha Wonder Drink is giving away a 5-flavor sample gift pack to one lucky USA winner! Enter below, and good luck! 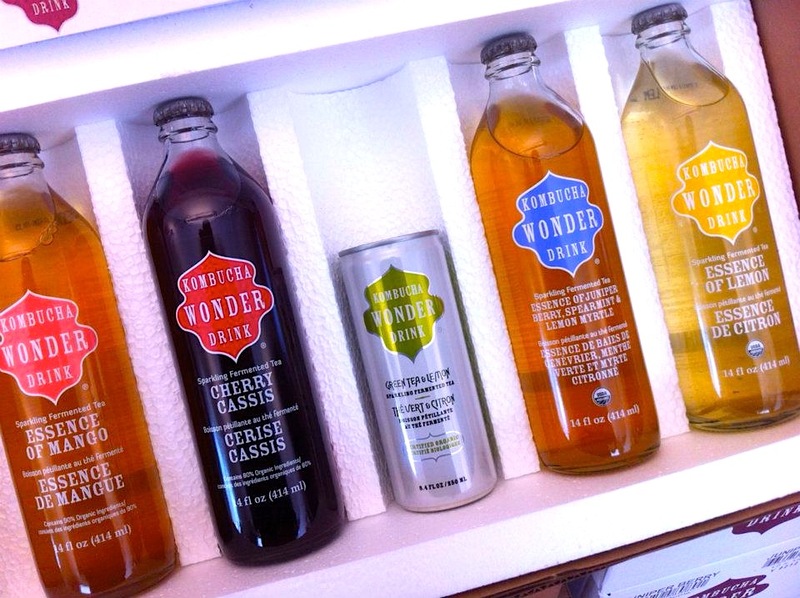 Enter to win the 5-flavor Kombucha Wonder Drink Gift Pack! This giveaway will last 24 hours, from midnight EST on Monday December 10th until 11:59pm EST the same day. Entering is easy! Simply follow the various options below in the Rafflecopter widget window. This Kombucha Wonder Drink brand giveaway is open to continental U.S.A. residents only. There will be one winner. The winner will be contacted and confirmed within 48 hours after the giveaway ends. All entries are verified via Rafflecopter. Be sure to come back tomorrow and EVERY DAY through December for a chance to win a new prize! You can win multiple times, so please don’t be shy to come back! 25 Days of Christmas Giveaways…is coming!